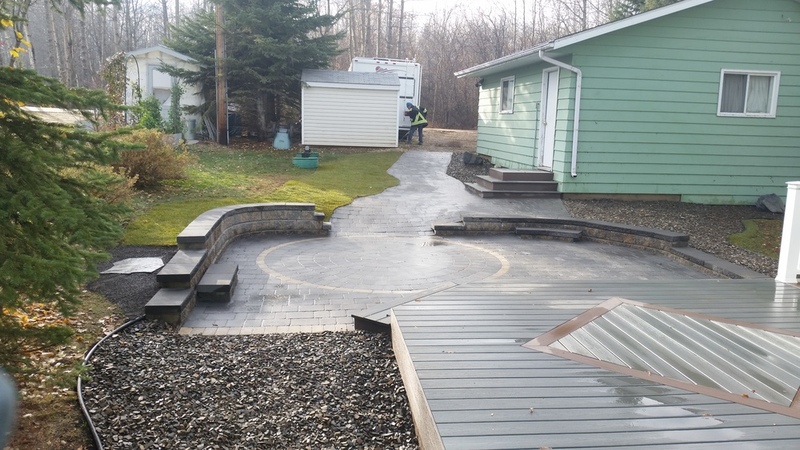 Backyard redesign at Pigeon Lake. 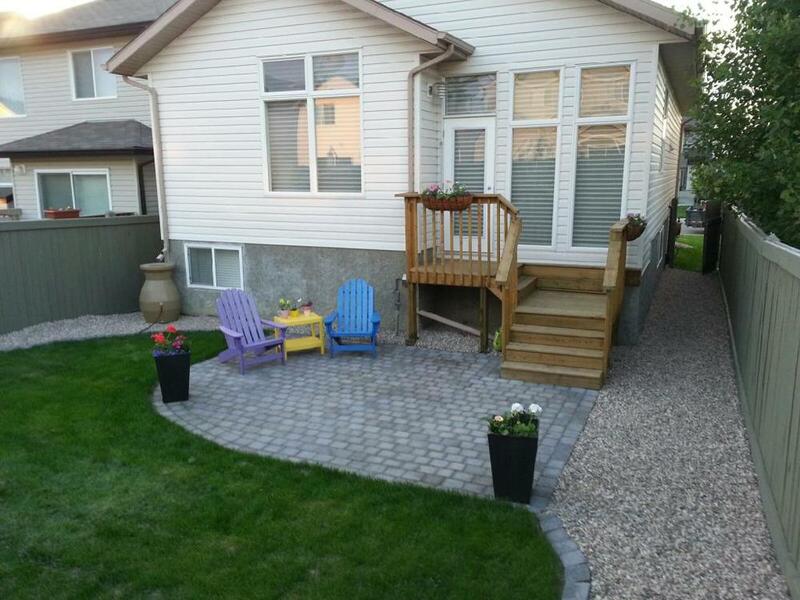 Side view of patio, steps to neighbors yard and sloped walkway to driveway. 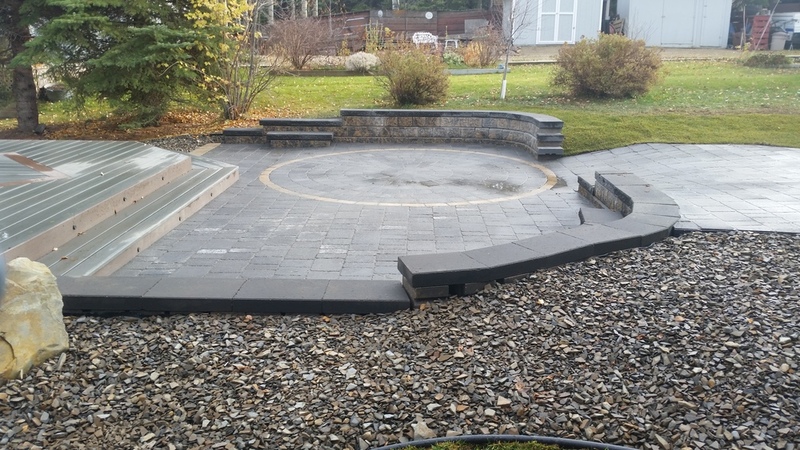 Backyard patio off deck with rockbeds. 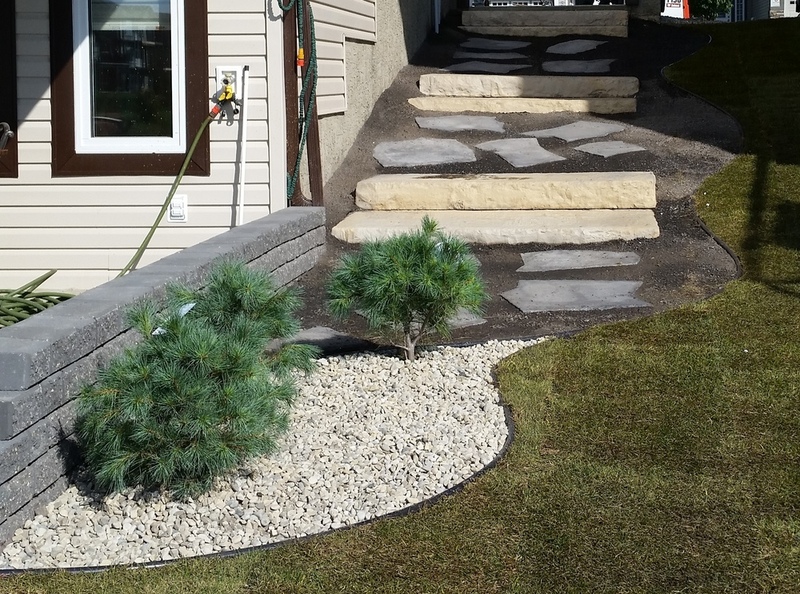 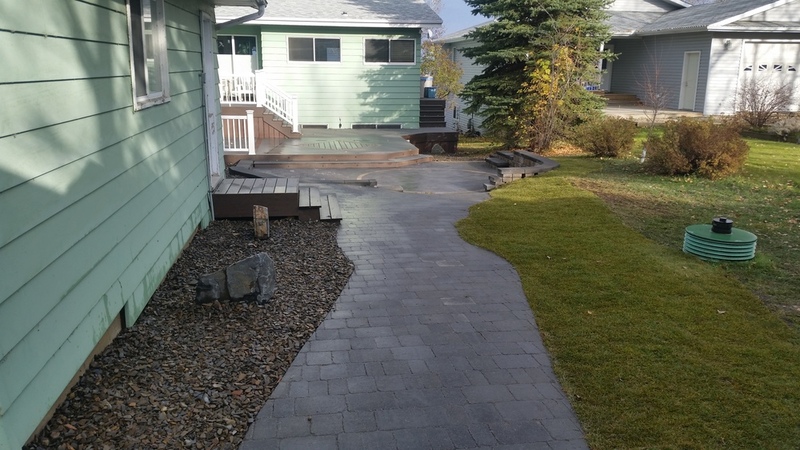 Walkway from driveway to patio with new rockbeds beside garage.